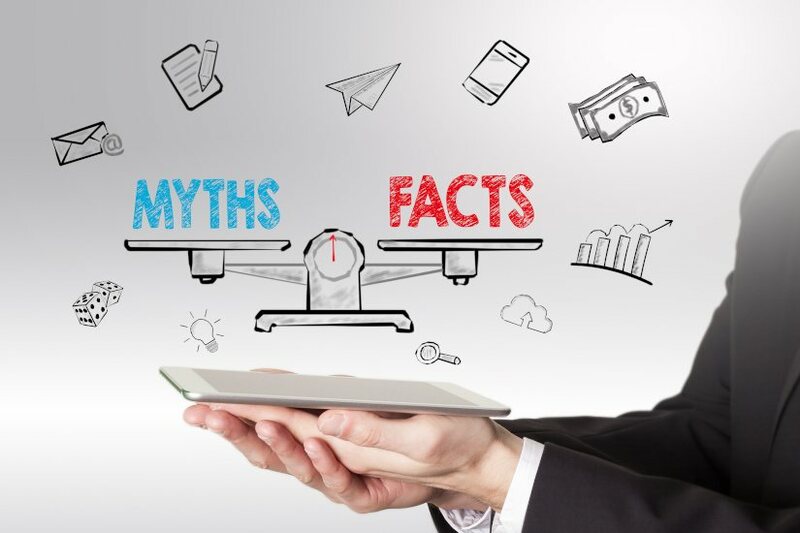 Since Comprehensive Credit Reporting was implemented in July of this year, a lot of myths have circulated regarding what is included in a credit report, who checks it and how one’s credit score can be improved. Nest Egg spoke with CreditSmart’s credit reporting expert, Geri Cremin, to debunk a few of the common misconceptions Australians have regarding their credit report and overall credit score. Myth: The credit score is more important than the overall report. Our research indicates one in three Australians don’t know the difference between a credit report and a credit score. The key thing to set straight is your credit score is not the be all and end all. The credit score is a number, but it’s very much based on the content of your credit report. Your credit report has all of the vital information in it, and your credit score just distills that into a number. I think it’s very easy to get hung up on your score, but it’s really your report that you need to look at and this is what you need to focus on if you’re looking to improve your score. As well as this, it is the detailed credit report that a lender will look at when you make an application for credit. Myth: Your credit report just includes negative information, such as defaults and bankruptcies. There’s been some changes to the kind of information that’s included in your credit report. Now in your credit report, you’ll have any loans or credit that you hold and you’ll have repayment information about those loans as well. So, that’s a monthly indicator of whether you’ve made your repayments on time. That gives the lender a very clear picture on your relationship with credit, and how you behave with credit. As such, making sure you make your repayments on time every month is the most important thing you can do to improve your credit worthiness and, ultimately, your credit score as well. Myth: Most lenders don’t even look at your credit report when you apply for a loan. Most lenders in Australia will, at the moment. The industry is transitioning to a more comprehensive type of credit reporting. So, a lot of lenders will look at that information. While we’re still in the transition mode, and some fringe lenders still might not necessarily have access to that information, certainly the major banks are participating. It might impact the type of products that are available to you from these lenders. For example, you might be able to get a better interest rate if you’ve got a better credit score and a better credit report. That’s probably the key thing, I think – having access to better products. A lot of the major car financers and a lot of the household name credit providers will be taking into account client’s credit points, and they’ll be looking at that information for sure. Myth: I can’t improve my credit score. There is a bit of misconception that Australians can’t improve their credit score. The single most important thing individuals can do to move towards improving their credit score is to actually look at your credit report. I think looking at it and getting familiar with it means you can start taking control. Far too many consumers have not actually checked their credit report before. Sixty per cent of Australians, our study showed, have never checked their credit report and have no idea what is actually on it. So, the first thing to do is check it, make sure the information is correct and it’s up to date, and make sure you’re aware of what’s being reported. You have a right to access your credit report every year for free. Aside from that, it’s about making sure you do everything that you can to take control of your credit’s reputation. That includes making those payments on time, so you can build up a good track record of behaviour. Another key way to ensure your credit report is looking good and that your credit score is the best it can be is to make sure you’ve only applied for the credit that you need. So, if you’ve got an unnecessary credit card, for example, it’s worth making sure the limit is appropriate. That will definitely come in to a lenders’ assessment when you apply for another loan. Myth: Being debt-free means I have a good credit score. It’s obviously better than if you have a default listed against you, but now that we have what we call “positive information” in reporting, which includes the existence of credit products and the repayment history information as well, you can actually build up your reputation through debt. This is because you can demonstrate that you’ve got a good relationship with credit through your repayments. So, it’s not necessarily the case that not having any debt will give you the best credit score. It’s all about whether any information in there shows a good track record of making payments on time and having a healthy relationship with credit. Myth: Potential landlords check your credit report. There is a common misconception that landlords will look at your credit report when you go for a lease. That’s not the case at all. Similarly, your rental payments aren’t recorded in your credit report either. It’s just financial services credit that is currently being reported. Myth: A higher income means you’re more credit worthy. A higher income means that you have a higher credit score or you’re more credit worthy? A massive 63 per cent of Australians believe that how much money they make is included on their credit report. For the purposes of credit reporting, that’s not the case. Your income is not listed on your credit report. Overall, your credit report is very much about detailing the behaviour you demonstrate with different credit products. Accessing your credit report, reading what’s included and understanding that behaviour is the first step to improving your credit score.